Are you willing to find Street Art in Barcelona? Barcelona is certainly famous for its contemporary arts, especially modern street art. It is prolific throughout the city whether it’s illegal graffiti or commissioned pieces by some of the city’s famous artists like El Pez, who now tours the world painting large murals in every continent. It’s not just spray-paint art though. Today’s street art uses anything and everything to display a message or communicate a feeling. The most common forms of Barcelona’s Street Art are just as likely to be mosaics or stencils and some even use recycled materials collected from the street’s refuse. It changes every night too! The best place to view some of the best and more historic street art pieces on your Barcelona trip are actually on shop shutters. But they are normally only visible at night after the shops shut, or on a Sunday. Below we have suggested some areas in the city where you will see major pieces of Barcelona’s Street Art work… maybe even in action! If you take a trek through this district, Barcelona’s Street Art is everywhere. A good place to start is the MACBA – the Barcelona Contemporary Museum of Modern Art – but no need to go inside, just scout around the surrounding area to see really fantastic pieces of work! There are also a lot of older pieces as you move deeper into the Raval district. Easy to find, just head to the where you see the 3 big chimneys breaking the skyline on Avinguda del Paral-lel . Art creation is actually encouraged here, so you are allowed to paint, so you should be able to see and talk with some of the artists as they paint. Head further down Paral-lel where it meets Plaça de les Drassanes, you will find another public park space called Jardin Walter Benjamin. Artists can paint legally here as well and there are always new and interesting murals on display. Start at Carrer Ataulf (with Carrer Templars) and then head into Carrer Milans. By just walking along these two streets alone, you could potentially take hours to see all the art within them. There are also some old treasures by legendary Barcelona Street Artists El Pez, Kram & Bombzone. The Born is nearby. Just cross Via Laietana and head down to Carrer de l’Argenteria. The art is not only on the street, visit some of the local galleries that exhibit and sell work by Barcelona’s street artists. 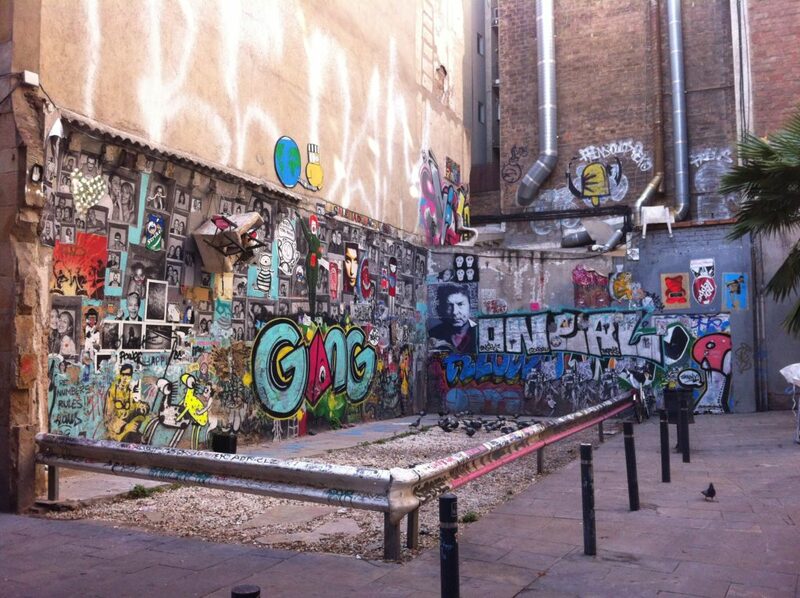 There is even a world famous Barcelona Street art walking tour – the Barcelona Street Style Tour. It has reviews by virtually every newspaper culture section on the planet. We highly recommend it! Also it’s free, but if you feel the tour gave good value, you can always donate when it ends. You would expect to pay about €8-10 for any informative and enjoyable walking tour. They even have an additional bicycle tour that takes you to Poble-Nou, where some of the city’s largest murals are. Barcelona’s Street Art brings many visitors and artists to the city every year. To make your stay more enjoyable, why not see our selection of holiday rental apartments in the areas mentioned above to be right in the middle of all the action. 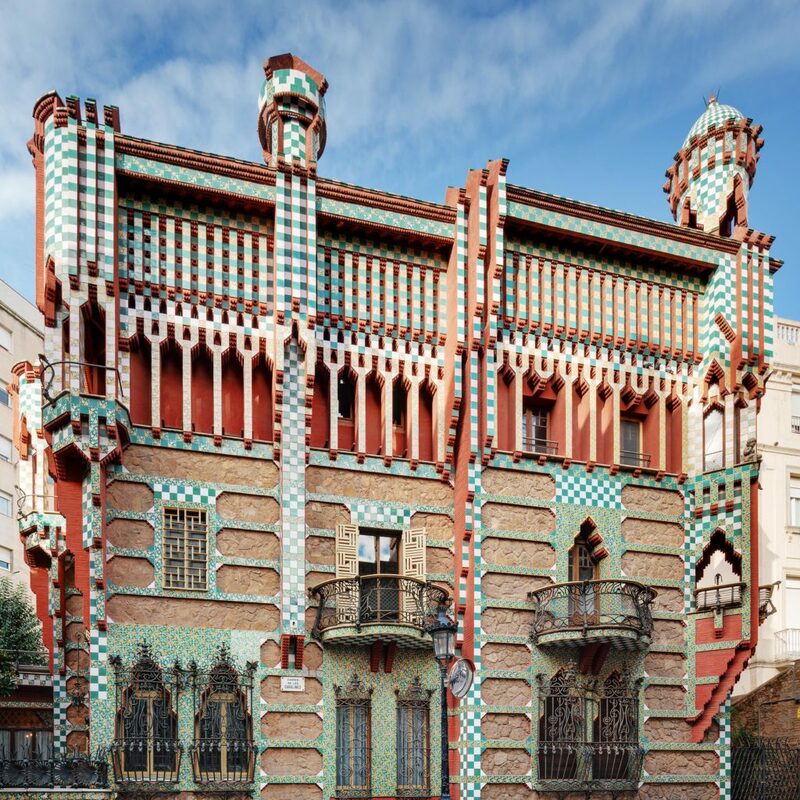 Today Casa Vicens open its doors to the public for the first time in its 130-year history. The opening is one year over schedule due to some painstaking restoration work, but definitely worth the wait. The building is the first home designed by the great Modernist architect Antoni Gaudí. The house was finished in 1885 and has always been a family home or summer house. It was commissioned for a local merchant Manel Vicens i Montaner. After he passed away, his widow sold it to the Jover family in 1899 and they resided in it, handing it down the family through the years. In 2014 Casa Vicens was bought by MoraBanc & Amura Capital investing €4 million to bring the building back to its former glory. The restoration process began in 2015 and fully conserves all the original features and rooms. The figure for the actual purchase of the building is undisclosed. The new museum will pay homage to the famed architect and visitors will also learn more about Gaudí’s background; his life before designing Casa Vicens, his intellectual influences and his inspiration both during and after his studies. The ceramic glaze brickwork on the exterior is influenced by Arabic and Medieval styles, also incorporating Gaudí’s personal decorative and symbolic themes. These were only discovered after removing a layer of white paint used to cover some of the original decoration and papiermache artwork. The house retains a gallery, dining room and a smoking room which adjoin the gardens and newly installed side entrance all on the ground floor. The main façade features the reconstruction of the original fountain with its circular base for collecting the water, a main body and metal structure. As a result of various works over the years, the whole piece had disappeared, so the reconstruction of the fountain is based on photographs. The first floor of Casa Vicens is home to a permanent collection of Gaudí’s papers where visitors can discover several original pieces of his thoughts on architecture. Anyone who knows Gaudí’s work will be aware that he rarely wrote about his opinions on architecture and design, so these are special treats for enthusiasts indeed. There is also a live audiovisual projection about the architect, and depending on what time of year, there will be temporary exhibtions and other activities dedicated to different parts of Gaudí’s life and work. 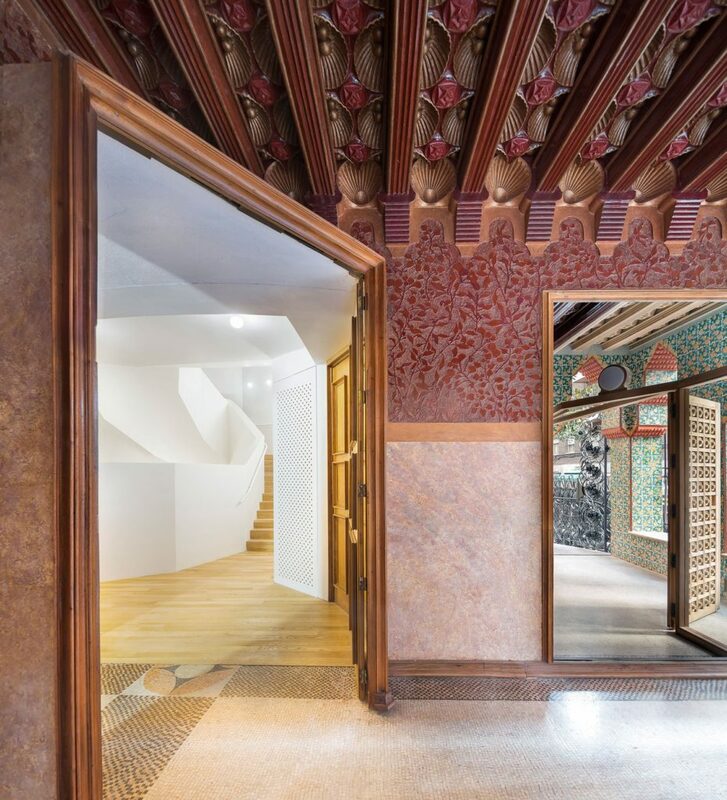 Apart from Gaudí’s social, cultural and artistic context, visitors will be able to find out more about his projects prior to building this house – such as school projects, his city projects, religious projects and his first building and furniture designs. Casa Vicens is a Unesco World Heritage Site, named among other works he designed such as the Sagrada Familia, Casa Batlló, La Pedrera, Park Güell, Palau Güell, Palau de la Música and Hospital de Sant Pau. It is located in the western part Gràcia and it is expected that approximately 150,000 people will visit the museum every year. 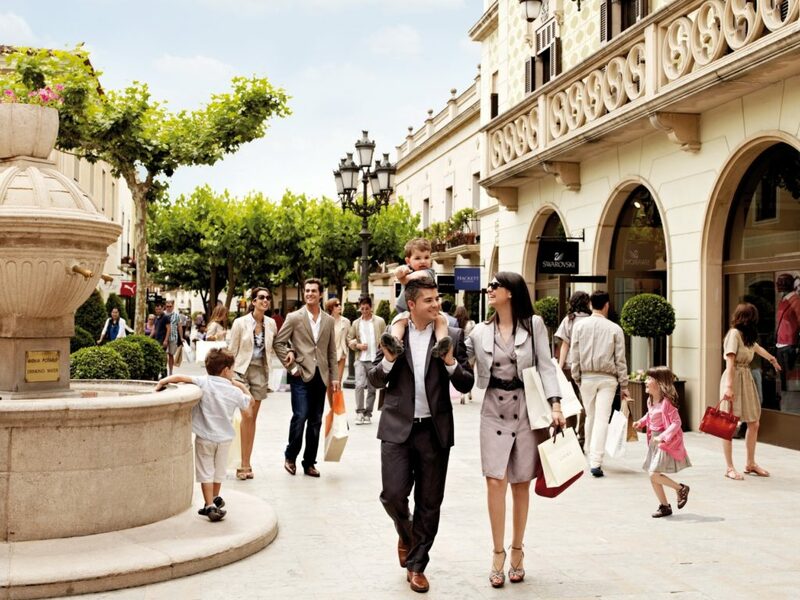 La Roca Village is a shopping concept operated by multi-national luxury retail group, Chic, who boast 11 such sites at cities like London, Paris, Munich, Shanghai, as well as several in Spain. More of a Spanish architecture styled village than a shopping mall, La Roca Village is treasure trove of more than 130 outlets by top brands such as Moncler, Michael Kors, Armani, Boss, Gucci, Hackett, Jimmy Choo or Versace, all brimming with luxury articles available at low prices, sometimes saving up to 60% off high street prices. Located in the region of El Vallès Oriental on the outskirts of Granollers – a large industrial town just outside of Barcelona where the famous Montmeló Formula One track is – La Roca Village offers a great day out for young couples, groups, singles or families. It is a tourist destination in its own right due to the stunning design and innovative experience. It’s open seven days a week, 10am till 9pm, but normally closed for holidays such as Christmas Day, King’s Day… check their website before planning your day trip. Private shopping services include an all-store baggage-guarding scheme and even a personal adviser service for complete makeovers. There are more additional activities such as a gift card services. There are plenty of fine eating establishments scattered around the shopping village with food for every taste with a beautiful play area for younger ones at its centre. So how do you get there? La Roca is easily accessible from the “Autopista del Mediterráneo” or AP7. This motorway stretches all the way from the Spanish/French border in the North connecting through to Valencia and Vera in the southern part of the peninsula. Leave the AP7 Motorway at Exit 12A (Cardedeu) and follow the signs for Centre Comercial (GPS Lat. 41.610694, Long. 2.343342). Prices for small to medium car rentals from leading companies such as Europcar, for example, start from 29 euro per day. Very regular services from City’s main rail station Sants connecting to Granollers, the stop near the shopping village, every 30 minutes. From there, regular bus services or taxis will help you complete your trip with a 5-minute journey to the shopping complex. It’s a well-trodden path to La Roca, so this is an easy option basically door-to-door. The most direct way is by the Shopping Express shuttle bus – operated by La Roca themselves and pre-booking is advised due to limited seat numbers. Return trips cost €20 each for adults, children 3-12 at €10 and children under 3 travel for free Passeig de Gracia, 6. Usually by booking online, there are also plenty of discount opportunities in the shops, cafeterias and restaurants on offer. Sagales, a local coach service, also operates a direct route and has extra stops at the Mango Outlet and Nike Factory Store. Children under 4 travel for free and adult returns are €20 at the departure point on Carrer Casp, 34. Again, pre-booking is advised and will also earn you some further discount on your travel ticket costs. If shopping is your thing, then Barcelona is definitely your place. Find your ‘base camp’ from our selection of fine rental apartments throughout the city, and shop till you drop!